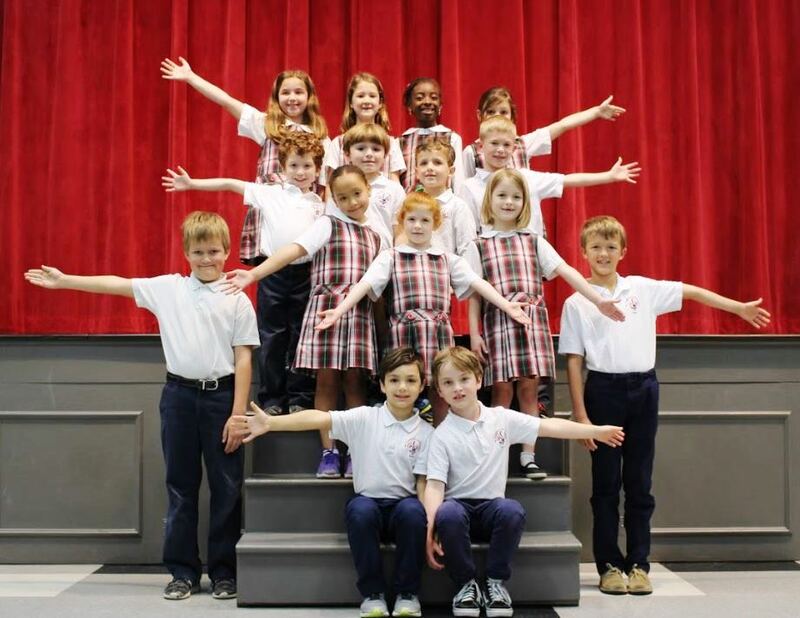 Did you know that we are the most diverse Catholic school in the greater Charleston area? Here at CCS we believe in sharing our differences and celebrating our similarities. Approximately half of our students in grades 4-7 have been recognized as Duke University Scholars. Over 20 students qualified for the prestigious Beta Club State Convention, and one student placed in the top 10 at the National Beta Club Convention. MAP Testing is administered for grades 3-8. These tests measure student growth in math, language, and reading. Our 3rd grade students grew 5 points in math, 8th grade students grew 5 points in reading, and 6th grade students grew 8 points in language. Our class average scores were consistently 7 points higher than the national average in all subjects. We are blessed to have such wonderful teachers who are so dedicated to helping our students reach their full potential. Two-thirds of our teachers have Master's Degrees in Education or a Specialized Subject Area. Teachers also hold certification through South Carolina Department of Education or through the Diocese of Charleston Catechist Certification Program. At Charleston Catholic, each year older students are paired with younger students. This gives the older students an opportunity to act as mentors to their "buddies" and ultimately brings the school community closer. Our students always have a blast during their "Buddy Time" activities! Each month Charleston Catholic participates in a TAG (Teach About Giving) Day. On TAG Day students can donate $1 to charity and dress in a designated theme. Our teachers do a great job explaining to our students the mission of the various organizations to which we donate. This year we donated to The Wounded Warrior Project, Epilepsy Awareness, and UNICEF, to name a few. Each week a different class is tasked with leading school Mass. This gives students the opportunity to hone their leadership and public speaking skills. They participate by being altar servers, reading the introduction to Mass, serving as the lector, who performs the scripture reading, or serving as the cantor, who sings the Psalm. They also serve by reading petitions and being gift bearers. We are so blessed to have an expert art teacher, Sr. Suzanne, who holds two degrees in Art and Art History. She leads students in various art projects, from murals, to impressive still life portraits, and even guides them through using a kiln, from which they produce unbelievably impressive ceramic works of art. Several of our students have placed in regional art shows. As a creative arts school, our students in grades 1-8 take daily visual and performing art classes. It is scientifically proven that stimulating the right side of the brain with arts in turn stimulates the left side of the brain, which is responsible for logic and reasoning. The results of this combined approach are students who are more well-rounded and successful throughout life. Our offerings include Art, Band, Chorus, Drama, Movement, and Music. If we could use one word to describe our playground it would be: COMMUNITY. Our playground has something to offer all students, and it has a very special way of bringing our school together. Plus, we just installed brand new AstroTurf! At Charleston Catholic we celebrate our freedoms as Americans every day, especially our freedom of religion. We say the Pledge of Allegiance together as a school each morning and our Student Council has the responsibility of raising the American Flag daily on our playground as well.